Scientists have had an on-again-off-again relationship with Pluto’s status since 2006 when it was downgraded to a dwarf planet. But changes to the criteria for planets could mean a comeback for the icy globe. Pluto could become a planet again depending on changes to the International Astronomical Union’s (IAU) criteria. 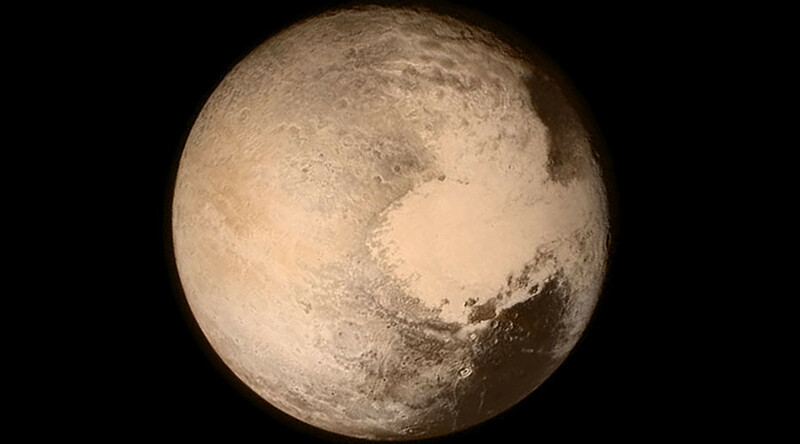 While some may celebrate Pluto’s return to planetary mnemonics, changing those criteria could potentially add another 102 celestial bodies to the list of planets, the Astronaut reported Saturday. When the IAU looks to qualify a celestial body as a planet, they currently take three things into consideration: it must orbit the sun, have enough mass to have a round shape and have a gravitational pull strong enough to pull clutter from its neighboring planets. Pluto, as the ninth planet in our solar system, managed to get by for years because of its orbit and mass, but in 2006, the other shoe dropped and scientists determined it had not become more gravitationally dominant than other objects in the area. The demotion of Pluto was a highly contentious move that has been hotly debated in the astronomy community, partially because of semantics. Members behind the New Horizons probe that reached Pluto in July 2015 explained why this mattered. “In the decade following the supposed 'demotion' of Pluto by the International Astronomical Union (IAU), many members of the public, in our experience, assume that alleged 'non-planets' cease to be interesting enough to warrant scientific exploration, though the IAU did not intend this consequence,” the team wrote. But allowing Pluto to regain its planet status could bring in a number of additional celestial bodies that also have the mass for a round shape and orbit the sun, such as the other 101 identified objects that meet that requirement. And adding those hundred or so planet-like objects could make the classic MVEMJSUNP mnemonic used to remember our solar system, well, just slightly more difficult.